The musical, written by Manilow and his longtime collaborators Bruce Sussman and Jack Feldman, has not been seen in the UK for ten years and will kick off at Harlow Playhouse on Thursday 2nd October 2014 (press night Friday 3 October at 7.30pm). 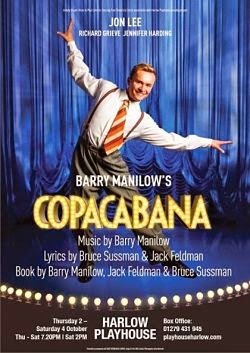 This new production will reimagine the original stage version of Copacabana, which was first performed in the US in 1991 and has never before been seen in the UK.Featuring Manilow hits including Dancin' Fool, Who Needs to Dream, Welcome to Havana and of course, the Grammy Award-winning Copacabana (At The Copa). This tale of romance and stardom features aspiring songwriter Tony working as a pianist in a bar when he meets the gorgeous Lola, who is determined to make it in showbiz. Quickly falling for Lola, Tony does everything he can to assist her attempts to find stardom. At Manhattan's Copacabana Lounge both start to find fame, before fate steps in and Lola is swept away to Havana to work in a splashy night club. But Lola's new mentor and boss Rico may demand a price for putting her name in lights. Touring venues we have so far include Harlow Playhouse, Southsea Kings, Buxton Opera House, Jersey Opera House, Bournemouth Pavilion, Newcastle Mill Volvo, Blackpool Grand and Billingham Forum. 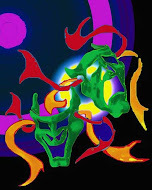 More casting and dates for next year to follow shortly.